Ambassador Yap and Consul Musor, together with the faculty, staff and Filipino students of SP Jain. Dr. Fong, SP Jain’s CEO and Head of Campus (Singapore), presents a token of appreciation to Ambassador Yap after the short program and refreshments. 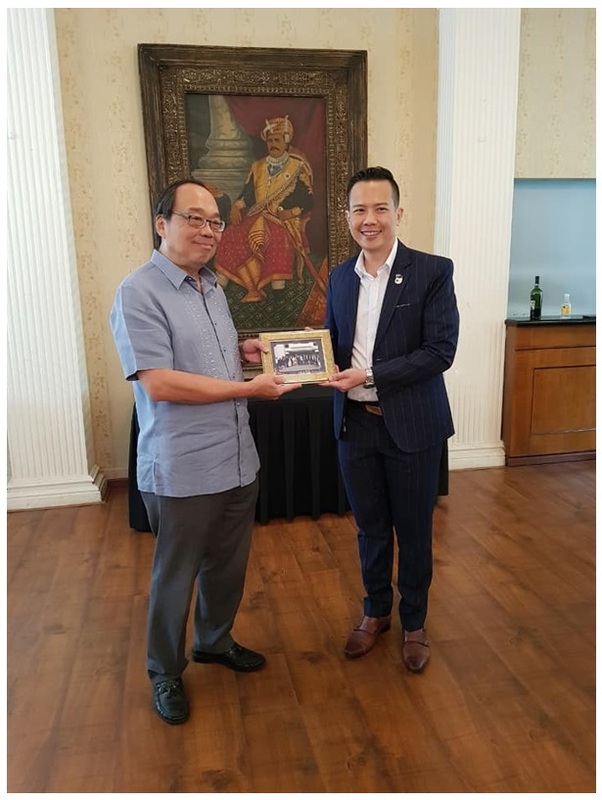 21 March 2019 – Ambassador Joseph Del Mar Yap was warmly welcomed by the faculty, staff and students of the SP Jain School of Global Management, led by Dr. John Fong, CEO & Head of Campus (Singapore), last 20 March. Accompanied by First Secretary and Consul Gonaranao B. Musor and Mr. Wilford Wong, Ambassador Yap was given a tour of the campus, which includes a heritage building of Singapore. SP Jain also proudly showcased its effective use of technology to improve teaching and classroom learning experience of its students. A number of Filipino students are also proud scholars of SP Jain, including 9 who are pursuing their Bachelor of Business Administration degree. The rest are professionals and graduate students pursuing either the Global Master of Business Administration or Executive Master of Business Administration program. “We want to offer more scholarships for deserving Filipino students, while providing training programs for the Filipino community in Singapore,” Dr. Fong said during the briefing for Ambassador Yap. Scholarships to be offered by SP Jain will not just be for students coming from the Philippines, but also for Filipino professionals in Singapore seeking to widen their career prospects. “As we celebrate this year the 50th anniversary of Philippines-Singapore diplomatic relations, I look forward to exploring a partnership with SP Jain School of Global Management on education and capacity building. 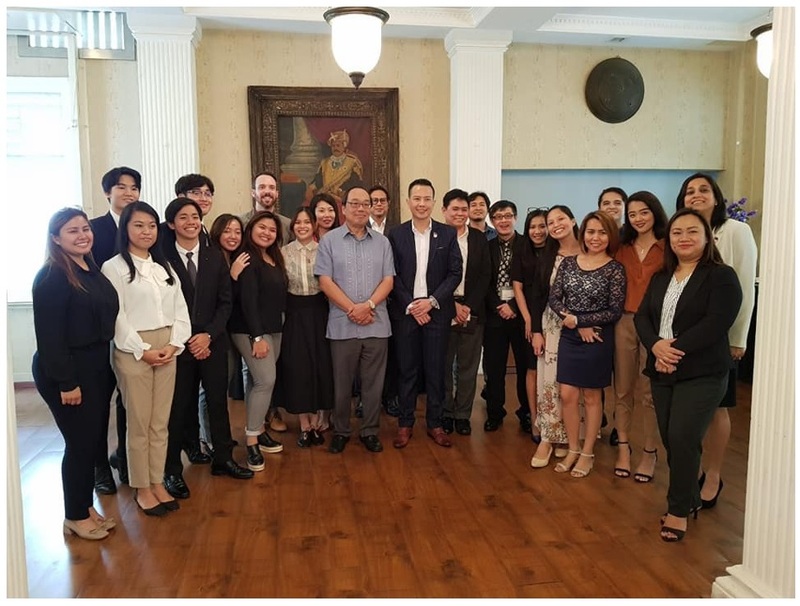 Certainly, many of our kababayans in the Philippines and in Singapore will benefit in this wonderful opportunity offered by SP Jain,” Ambassador Yap said. 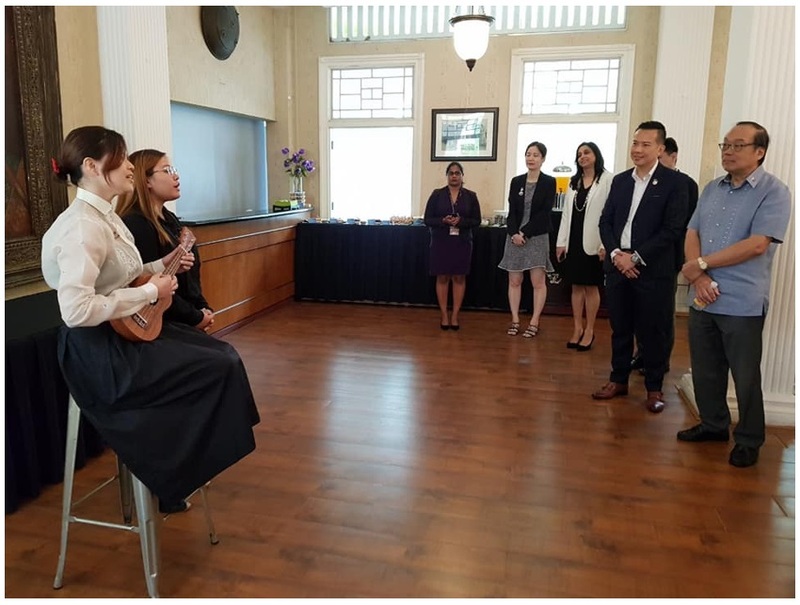 After the briefing, the Filipino students serenaded the Embassy representatives with a harana at a meet-and-greet, while Filipino delicacies were served. SP Jain is an international business school that started in Australia with campuses in Sydney, Mumbai, Dubai and Singapore. In 2018, SP Jain’s Global MBA program was ranked #4 in the world by the prestigious Times Higher Education-Wall Street Journal Business School Rankings of top 1-year international MBAs.